Catriona Murray bagged 3-5 as Wexford beat Meath in Birr to claim the Lidl Ladies National Football League Division 3 title. Murray was electrifying in her movement and her third goal after 54 minutes finally killed off Meath. 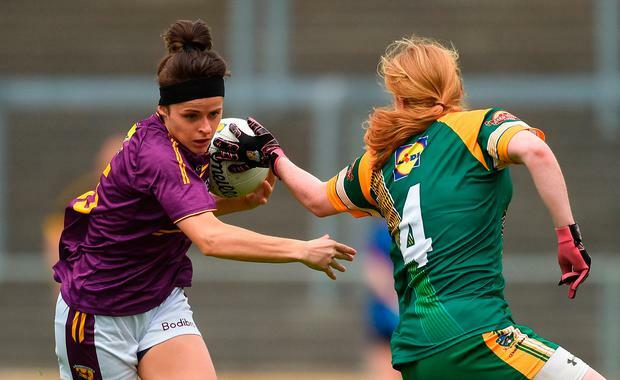 Even without the injured Vikki Wall and Orlagh Lally, Meath created the better chances in the first half and led 0-6 to 0-4 until Murray scored a goal and a point to leave Wexford ahead at half-time by 1-5 to 0-6. 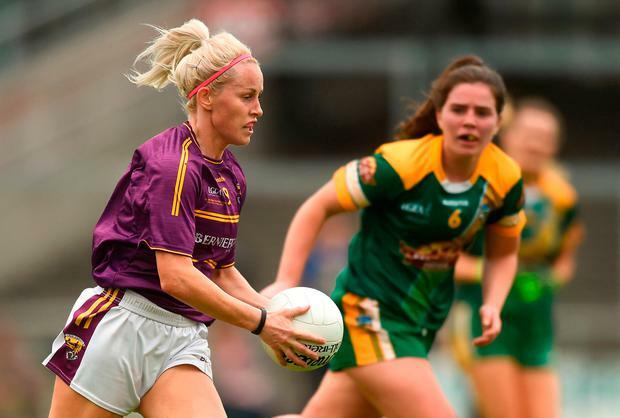 The third quarter belonged to Wexford and they went seven points clear as Niamh Butler, Clara Donnelly and Bernie Breen popped over points and Murray added a second goal. Stacey Grimes produced a text-book finish from the penalty spot to give the Royals hope and veteran Wexford goalkeeper Mary Rose Kelly then made a great save to deny Niamh O'Sullivan before Murray won possession from a Meath kick-out and promptly took off and crashed the ball into the net. "I was hoping she'd pop it over the bar, but she was thinking differently. That's just the type of player Catriona is - she goes for the jugular every time," said manager Anthony Masterson, who was delighted to see his players atone for their defeat by Tipperary in last year's final replay. "She saw a chance to win the game and that's exactly what she did," Masterson smiled. scorers - Wexford: C Murray 3-5 (0-3f), B Breen 0-2, F Rochford, C Donnelly, N Butler 0-1 each. Meath: S Grimes 1-3 (0-1f), N Gallogly and N Wall 0-2 each, F O'Neill, N O'Sullivan, K Byrne, A Cleary and M Farrelly 0-1 each. 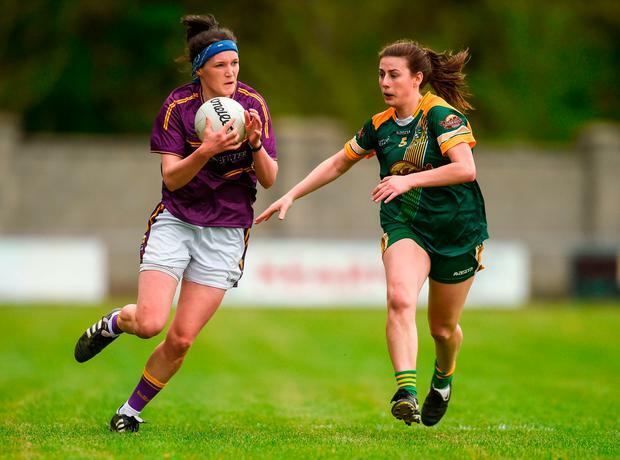 WEXFORD - M-R Kelly; S Murphy, M Byrne, S Harding-Kenny; N Butler, N Mernagh, N Moore; R Murphy, B Breen; C Donnelly, F Rochford, K Kearney; C Foxe, A Murphy, C Murray. Subs: R Bennett for Rochford (53), E O'Brien for Butler (58), A Sheil for Murphy (60), G Hearne for Moore (60). ref - M Farrelly (Cavan).